Papa Johns Pizza, Sunny 97-7, and 95-1 & 96-1 The Rock proudly present two different ways you can "Back the Bells" this bell ringing season and pile on the fun (and prizes)! When you put on your best smile and ring a bell alongside a Salvation Army Red Kettle, your kindness changes lives. Your help makes all the difference in our ability to serve. Bell ringing attracts the change we need to continue our warming shelter, food pantry, youth programs, spiritual outreach, crisis services, sufficiency programs and a Pathway of Hope program that's one of the top in the nation. Your style: Volunteer yourself, with a friend, your family, your pet. Contact us to learn more about bell ringing. 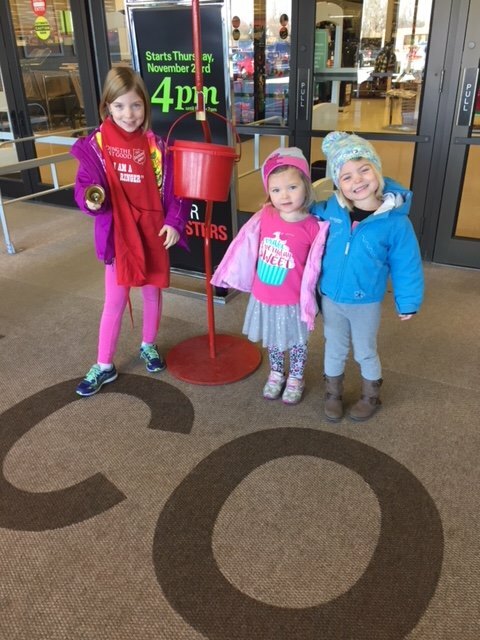 Click here to sign up now to ring bells for The Salvation Army Fond du Lac Corps this year. Support for our Red Kettle fundraiser helps us reach our Christmas Campaign goal. Reaching that goal means much more than hitting a benchmark; it means we have fuel to power our next year of service in Fond du Lac and the surrounding county. Sponsors receive appreciation and recognition in many forms, including media exposure from media partners KFIZ, 107.1 The Bull, Sunny 97-7, 96.1 The Rock, AM1170, Campbellsport News, The Reporter, Action, and Next Media. Those who come to us in need receive a network of resources because the biggest hearts of our community united behind the Red Kettle Christmas Campaign on their behalf. Contact us for more on this year's Red Kettle fundraiser and Christmas Campaign.